Our programs focus on an individualized learning system, providing an excellent foundation and education from 12 months old to 6th grade. Kid’s Town Montessori School offers before and after school daycare from 7:00 to 8:30 a.m. and from 3:00 to 6:00 p.m. Our caring and experienced staff provides a comfortable and nurturing environment for children. 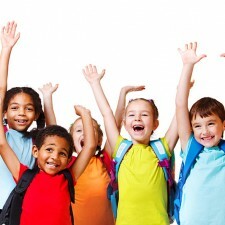 Our afterschool program consists of various daily themes, along with extra-curricular activities (i.e. dance, gymnastics, soccer, music…) which are offered after 3:00 p.m.
Finding a quality daycare provider in today’s day-and-age can be a challenging task. At Kid’s Town Montessori, we hire only the most qualified teachers and childcare professionals. 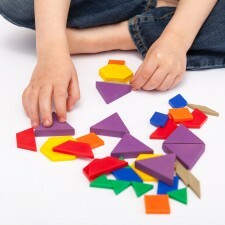 All of our daycare providers are required to have all required ECE units. Background checks are also performed on every member of our staff. 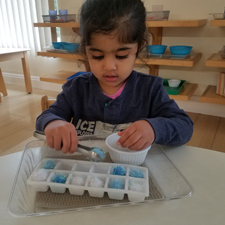 This Program is designed for ages 12 to 24 months and focuses on preparing the toddlers for immersion into a full Montessori curriculum. As soon as their days begins at 8:30AM, you will see these little ones toddling from one shelf to the next, taking out material to lay out on their awaiting floor mat, or table. Some will be sorting, pairing or matching material, while others will be sitting at the toddler-size round table, working on a group activity with their lead teacher. The assistants are always alert, making sure of the safety of our toddlers. With a low student-to-teacher ratio, we at Kid’s Town Montessori offer an inviting toddler classroom. We have 3- or 5-day programs available, as well as half-day, extended-day or full day. This classroom is set up to care for children ages 2 to 3 years old. Although the main focus of this classroom is to help children get toilet trained, this Montessori classroom will also focus on the Exercises of Practical Life and Sensorial activities. The teachers at this level will work with children to help them develop social skills and independence through the materials: how to carry a chair, a mat, a book, a tray, etc.…. all that, while instilling basic knowledge of mathematics and language. Children are free to move around, learn and work with the help of the teacher. The material in this classroom is Montessori based, designed to satisfy children’s natural curiosity about the real work they see done by the adults around them. This classroom also offers 3- and 5-day programs, as well as half-day, extended-day or full-day programs. 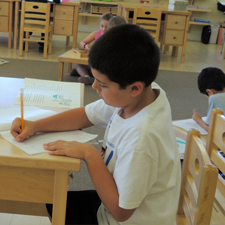 Kid’s Town Montessori School offers a Primary environment for children between the ages 2 ½ and 6. 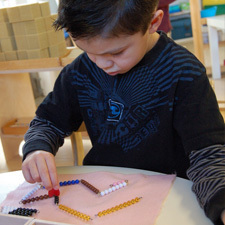 This completely Montessori based program is taught by our fully certified and experienced Montessori Primary educators. 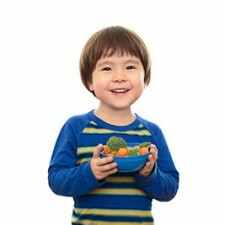 Children are required to be fully potty-trained and speak in a clear manner in order to be enrolled in this age group. We only offer a 5-day program at this level, as we believe that this is the age where children will likely need the continuity of going to school on a daily basis, in preparation for higher grades. Extended-day, or full day programs available. In this environment, children are free to move around the classroom, satisfying their inner needs for imitation, repetition, and movement. Daily individual and small group lessons are given using the three-year long curriculum, in Practical life, Sensorial, Math, Language, Geography, Science and Art. In the Montessori elementary program, the children learn how everything in the universe is connected, “the Cosmic Curriculum”. The daily routine provided gives them innumerable opportunities to add to their knowledge. The passion for learning instilled at an early age, reaches new heights at this level. Our bright and large classroom, fully equipped with adequate material with very low child/teacher ratios allows the Elementary aged children to learn and blossom. We also offer Computer, Spanish on a daily basis and P.E. classes for our Elementary aged children. Assessment are usually through individual research projects, oral questioning or by observing the manipulation of the materials; however standardized testing is used to keep on track with global expectations. 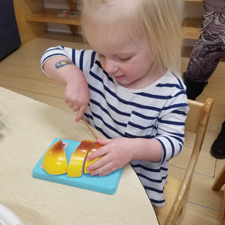 The Montessori Elementary curriculum is structured on two three-year programs, which build on each other; therefore it is important for the child to begin his or her Montessori elementary education at six-years of age. Every summer is dedicated to a themed curriculum, where children get more opportunities to learn, while engaging in fun, creative, and interactive games and lessons. Our focus during summer is to give children plenty of opportunity to enjoy summer while still learning hands-on through field trips, school site visits, and other themed special projects. KTMS offers a variety of after school activities to choose from. 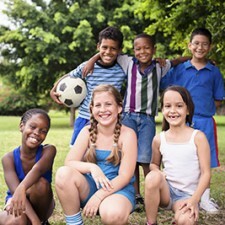 Your child can learn and develop skills in sports such as soccer, football, basketball, golf, Lacrosse and more. We also offer music and voice lessons, as well as dance fitness for children. All after School activities are available for an extra fee. The school does not provide lunch however we do have pizza on Fridays for an extra fee. Morning and afternoon snack is provided by the school.